Lately I’ve given up gazing into the navel of enlightenment. There’s only so long you can talk about waking up without boring or repeating yourself. What has captured my imagination (other than the wonder and awe of an increasingly non-ordinary life) is the question of purpose. I’ve always intuited that being born came with hidden mission instructions, that my being alive as a woman in the 21st century is not a random event without meaning. That applies to you too. We are all here, for a reason. One of the objections I often hear from people is that purpose is a luxury item for those with idle time and ample money. And to a degree, that is true. 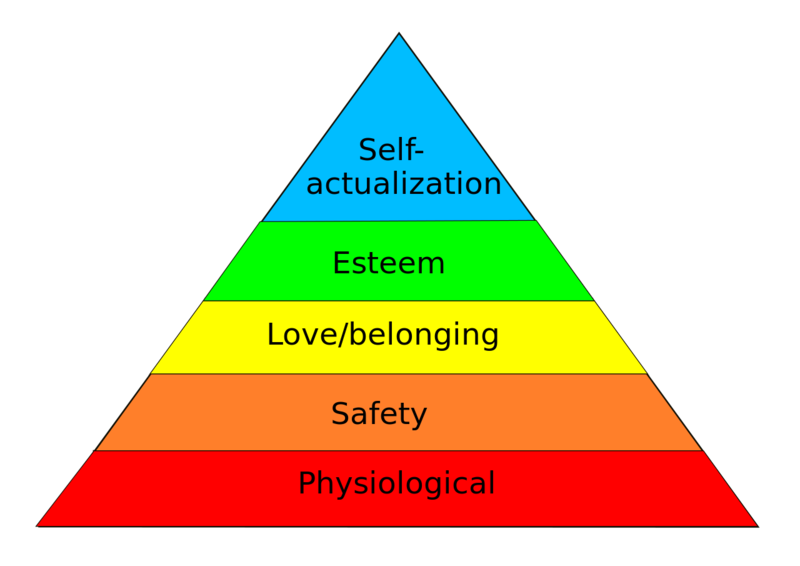 In Maslow’s hierarchy of needs, purpose would be at the top of the pyramid, once the basic needs are met. Let’s face it, if you are struggling to survive, thriving is not on the table. But most of us in the first world live with the possibility of self-actualization. Yet we also exist in a state of persistent amnesia rooted in a disconnect from our soul. We wander like sleepwalkers through the years allotted us, never stopping to wonder not only “Who am I really?” but also “Why am I here?” And while ultimately, we are all here for the grand purpose of remembrance (of the infinite divinity we are) there is in each of us a call to a unique expression of this divinity in the world. 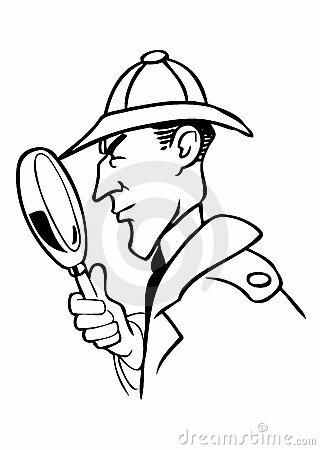 In my sleuthing, I’ve come up with five steps that seem to be working for me. I offer them here as a playful possibility that you might find them useful in the quest for your unique awakened-heart expression in the world. Step One: Let go of thinking you know for certain what is NOT your purpose. I began the purpose-quest five months ago. I started by mentally ticking off the things I knew for sure could not be a part of my next expression of self in the world. And yes, many of these items truly were roles that no longer fit. But lately I’ve begun to see that I’d tossed a few babies out with the bathwater. For instance, my high functioning clairvoyance (I had nine year lucrative and successful career as an intuitive reader) is still a part of my unique self expression and it’s not disposable. It’s central, in fact, to how I operate. To dismiss it would be sort of like a maestro saying the strings section is no longer needed in this orchestra. Ever. So ask yourself: What aspect of self—what talent or gift—have you abandoned that perhaps you need to re-invite to your purpose party? What have you banished that could be a celebrated asset? Step Two: Get Clear that Dreams, Strategy and Actions are not the same as Purpose. I owe this insight to author Marcia Weider, whose book Making Your Dreams Come True, came into my life at the perfect time. She makes clear that too often we have dreams (and then strategies and actions to execute those dreams) that are not founded on this thing called Purpose. In her view, when that happens, we climb a dream mountain only to find that we are on the wrong mountain top. For example: I was quite busy with the dream of creating a business based on teaching entrepreneurs how to create viral online content. This dream was based on me wanting to generate income doing something I know how to do. After two months of heavy lifting to make this dream a reality, I had a wake up call that stopped me in my tracks: This direction—and all the strategies, money and actions I had taken to support it—was not founded on my purpose. (In Marcia’s world, purpose is the bottom of a pyramid that is essential if we are to be happy when we reach the summit). My wake up call happened in the middle of a live three-day video training program for women called Shine Online. The whole point was to get comfy on camera and create DIY video selfie that would help me brand myself. A mild concussion and a stitches-worthy cut later, I realized this incident was not just an accident. It was a message to stop and reassess my direction. That night I had a powerful dream that clearly showed me I was not creating a business aligned with my deepest purpose, but rather on a convenient way to monetize a set of skills. And I opened to the mystery of my purpose again. I was willing to not know, until I did. Just after this, Marcia’s book about making dreams happen, entered my life. Not incidental, this book got me to think about purpose in a new way, as something deeply intrinsic to who I am. The book made looking for my purpose feel like fun. Step Four: Look to Your Childhood for Depth Clues. The first time I really got that we are born for a particular greatness was when I read The Soul’s Code by James Hillman. I must have been 33 or so when that pivotal book was published: long story short, the thesis is we each are born with our own unique daemon, or genius. Like an acorn that becomes the oak, we arrive fully encoded with a master design to become mighty in the world. Hillman notes that clues to our true genius can look like the very thing we shirk from, or that is a major childhood stumbling block or wound. For instance, wartime radio orator Winston Churchill stuttered as a child. His handicap become his glory. Digging into my childhood I can see two themes with clarity. I have always been a mystic and encountered my first “miracle” at age 9. I was obsessed with magic and miracles, and my life unfolded with episodes of supernatural and extraordinary encounters. The second theme: I was so painfully shy and withdrawn that I did not speak in school for years. I channelled much of my self expression into writing and began to win awards in grade school. My life created the perfect circumstances for the craft of writing to become one of mastery. If you pair magic and miracles with writing….well, I guess that sums up the Awakened Dreamer blog and the book I am currently writing. At one level my purpose is to provoke and inspire people to entertain magic and engage miracles. The deeper layer, post awakening, is that my purpose is to demonstrate these miracles occur from the recognition that my will IS god’s will. There is no separation (only the illusion of it). Step Five: Take a Self Love Inventory. There is an old zen story about a carver who creates beautiful elephant statues from a block of stone. One day, the student asks the carver: Master, how is it that you carve a perfect elephant every time? The Master Carver replies: I carve away all this is not elephant. Similarly, finding our purpose is that perfect elephant waiting for us in the block of stone that is our life. To carve away all that is not true, I created a three-question Self Love Inventory. When you answer these three questions honestly, you clear away the mental noise and emotional confusion. Question 1: If money was no obstacle what would you be doing that brings you joy? Question 2. If the opinion and judgements of others had no impact on you, what would you be doing that brings you joy? Question 3: If your duties and responsibilities to others disappeared overnight, what would you be doing that brings you joy? 1) Making money my purpose instead of having my purpose make money. 2) Worrying that others won’t approve of my path. 3) Feeling I have to sacrifice my own true passion in order to be a dutiful mom or responsible wife. I’ll finish up with one of my favorite quotes on purpose by Srikumar Rao, author of Happiness at Work. These words strike to the heart of why purpose matters, at least for me. It’s about being radiantly passionately joyfully alive. It’s just that simple. One little point on the ‘inner child’ it’s useful to note. There is those aspects of ourselves we may have repressed or learned to avoid as children that are good to be made conscious and integrated. That is especially so for sensitives or people with distinctive gifts. There are also those unresolved emotions and traumas we all have. These cast a shadow on our lives and affect us in all sorts of ways. They also tend to reduce clarity. Those are not about integration but rather release, letting go of what we have carried so long. The combination of the repressed and the unresolved uses a surprising amount of energy to sustain. When those are released over time, it’s amazing the energy that is released. And the load. Lovely article, Lori. I’ve been revisiting the insecure child all over again recently with Chiron return and seeing how much she has dragged me off purpose at times with her unresolved fears. Trying to live ‘on purpose’ while simultaneously acknowledging the child’s anxieties about being fully herself is an interesting mix! Much love to you, Freya. It was me giving you a little pop on the head. 🙂 so glad you came to your mystic senses. I already feel “on the right way” of this big purpose of my own life. Some steps are known, some others are still hidden (it’s like “there is a bigger step behind each step”). It’s OK, because each step is a challenge, an inner challenge (transformation). But I would like to take a guess : what about the quantum possibility that this purpose could (sometimes) change during life ? What I had to learn in this life was this strange thing : everything is not divinely predictable. Sometimes God fails, too. (And that’s OK, as you said in your last video). I mean : events that were predicted to happen could not always happen the way they were foreseen. There is always a quantum possibility that purposes change because the global circumstances also can change. This is part of the big mystery. So what’s left ? I agree with you that a “unique self expression” remains. Whatever you’ll do, this will come from the inside source and take your own “soul color”. So, we could change part of a soul purpose or not, or totally change… I don’t think it’s important. The key, for me, is the expression of this love into action, wathever the action is. Just enjoy ! The things we DO are not the purpose we are born for. Dreams, strategies and actions can vary wildly, yet my sense is purpose is like the center of the hurricane. It pretty well is always calm, but the center travels with the storm…so our purpose can move around the map but the nature of it is probably pretty much the same from the time we were born. What changes is the way it expresses–not WHAT it expresses. I wanted to write something and then read Davids comment which brings a lot (actually most) of what i wanted to communicate to the table. I would want to add here that integrating the unintegrated child self (the work from Michael Brown “the presence Process” which i have allready mentioned) will one make become consciouss of purpose and that is not something we do but how we are being with something. And awakening will not integrate this childself at all, on the contrary it will come more to the surface either for just living it unconsciously (what most of time happens) because we no longer look at patterns (“as there is no one”) or we start to resolve/integrate it (which happens very seldom because there is little awareness of this energetic complex within us and how to resolve it). So what happens if we are not driven by these deeply uncomfortable feelings that are unconscious to us until we look at them directly? Thanks for your wonderful articles!! Writing is really a gift you have! I agree that there is a child self that must integrate but had never thought of it in terms of purpose. Now that i do, i realize where the child self hinders purposeful presence is in the never ending quest for safety and pleasure. Most new age teachings like the Secret, Danielle Laporte’s The Desire Map and The Low of Attraction, cater to the inner child. Purpose is a place of maturity. Thanks for reminding me of the child aspect that most often operates unconsciously for most folks. Yes. purpose is a place of maturity. Such a great sentence! Of course they want to catch the unintegrated child with stuff like the secret etc. If that aspect is integrated by fully feeling through it all one matures and integrates that. Even if we had a great childhood we cary a lot of unconscious childish anger, fear and grief (of not being loved unconditionally by our parents; which they are not able of because they are human). Yes it hinders us because it wants to feel safe and sound, wants to feel right and wants others to take care for it. This creates very, yery subtle ways of self-sabotage. I have realized in my experience that a lot of what we atribute to the ego (the negative things) are actually this unintegrated child energies at work. Once they are integrated ego cools down a lot. I already did. Then I took it back. And then I gave it up….LOL. strange comment Robert. Feel free to elaborate. I resonated with what you write about “Look to Your Childhood for Depth Clues”. I want to add that also includes the date of birth and the names…Souls whispers encoded into ones destiny and lifes purpose, the clues are in the moment of birth and the names given. I discovered so much from this alone, about my lifes purpose and my linage. yes, our numerology and astrology are great clues! It is a fascinating explore. Thanks for the article. I’ve found that we are never not living to purpose. It’s actually not possible to be otherwise. It’s built in to our existence. However, if we’re not conscious of it, we can tend to resist and thrash and try to control making it all so much more difficult. Do we flow down the road of life, travel in the gravel on the shoulder or swerve in and out of the ditch? A lot of it is about just paying attention. Not just what do I want but what is being supported here? The key is – purpose is not about me and what I like. It’s about the role you have in the whole, what you have to contribute. Living to that will inherently bring happiness. Trying to get what I want will bring fleeting satisfaction at best. R. Buckminster Fuller observed that nature uses precession to get the desired effects. It’s not our actions themselves, it’s the right angled side effects that support the whole. The unintended consequences. He uses the example of a bee, seeking nectar and unintentionally pollinating plants. I’ve also noted that life evolves and thus the form our purpose has can change. “Finding purpose” isn’t a one-shot thing but rather an ongoing process of tuning to what is unfolding. We all have gifts but they may or may not be called on at a given time. Depends on the needs of the time. While our being has a purpose, this is not defined by a job or role. That is simply the current expression of it. Monique MacDonald describes living life On Purpose instead. Another useful point is that our gifts are often invisible to us. We’ve had them since birth and take them as obvious. The key is recognizing they’re there, making them conscious. As children, we tend to assume others are the same and thus ignore them. Or we may get negative feedback about being “different” and suppress our gifts. Writing was like that for me, so Not obvious. Looking back as adults, we can miss such things. Finally, it was pointed out to me that our greatest pain often becomes our greatest driver. What we didn’t get we want to ensure others do. Our purpose becomes an I Am statement. Our driver an I Will statement. Together, they steer the gifts into expression. The whole getting what I want is the modern day spell. It’s the manifestation industry. And it it found on catering to our inner child. It works, to a degree. But it ends up for most people creating a treadmill of desire. Rather than an intrinsic well being.